Remember the FedEx giveaway from a couple days ago? 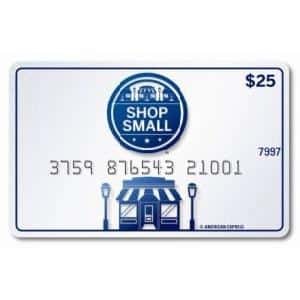 Well I’ve had lots of readers email me saying they won a $25 American Express gift card from it! So be sure to check your emails if you entered. The title is “You won a gift card from FedEx” and it’s from emails@emails.fedex.com. I got my email today. Thought it was spam(forgot about it). Glad I saw your site!!!! I got one! Thank you for the link. I received one, thanks for providing the link.